Stephanie: Hello Alison! Welcome back and thank you for chatting with me today and congrats on winning for the B.R.A.G Medallion twice! Today, I would like to talk to you about your book that won the first medallion, INCEPTIO. Please tell your audience a little about your story. Alison: Hi Stephanie. Thank you so such for having me on Authors’ Chat. Yes, I’m delighted to have been twice honoured. Stephanie: Please tell me a little about the mysterious Roma Nova and how you came up with that name. Alison: ‘Roma Nova’ means ‘New Rome’ in Latin, and this is the language they speak, although it has evolved over the centuries. Roma Nova is a small semi-mountainous country, somewhere between Austria and Italy, high tech, and keeping the traditional Roman values. The founders who wanted to keep the old Roman gods and religion were being persecuted by the Christian Emperor Theodosius, so left Rome in AD 395 and trekked north. Apulius, leader of the new colony, had married Julia Bacausa, the tough daughter of a Celtic princeling. She came from a society in which, although Romanised for several generations, women in her family made decisions, fought in battles and managed inheritance and property. Their four daughters were amongst the first Roma Nova pioneers so necessarily had to act more decisively than they would have in a traditional urban Roman setting. Given the unstable, dangerous times in Roma Nova’s first few hundred years, and their fierce desire to survive, eventually the daughters as well as sons had to put on armour and carry weapons to defend their new homeland and way of life. Over the next sixteen centuries women developed leadership roles in all parts of Roma Novan life. You can get the full story here. Stephanie: What was your inspiration for this book? The second piece of the jigsaw was reading Robert Harris’ wonderful alternate history, Fatherland that came out in 1992. I hadn’t realized you could project history in a different line. The third thing that triggered novel writing was a terrible film. The cinematography was good, but the plot dire and narration stop-start. ‘So why don’t you?’ came my other half’s reply. Ninety days later, I’d completed the first (very bad) draft of INCEPTIO. Stephanie: What are Karen Brown’s weaknesses and strengths? Alison: She’s not particularly happy or unhappy, but gets on with most people around her whether at her regular, boring office job or her weekend volunteer work as a park guide. Both her parents are dead and her cousins uncaring so she’s learned to be self-sufficient, but this makes her lonely, wary and prone to not believing in herself. She’s outdoorsy and enjoys jogging and squash and circuit training, so she’s fit. As terrifying things happen to her, she is surprised to find herself resilient. But Karen has a temper and when she thinks people are being unfair or unkind, that temper comes out for an airing. Stephanie: What genre does this book fall under and what do you like most about writing in it? 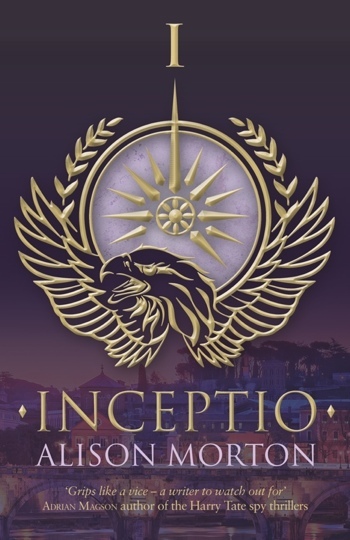 Alison: Primarily, INCEPTIO is a thriller, but there are no dripping body parts or detailed, gratuitous violence. The tension, or suspense, comes more from threats and Karen’s reactions to them. There is an emotional relationship and that weaves in and out the action, but it’s not a romance as such. As the story is set in an alternate timeline, I use “alternate history thriller” which sums up the combination of elements quite neatly. I enjoy alternate history as it is a sub-genre of history that allows me to expand beyond the normal framework of historical writing. However, I’m firmly convinced you have to know your history before you can alternate it. Stephanie: How long did it take to write your story and were there any challenges? What research was involved? Stephanie: Writers develop their own writing practice or habit-if you will-that tailors to their own needs. Stephen King writes 2000 words a day and Jack London wrote 1000 to 1500 words each day from what I hear. What is yours? And what helps you get started? Alison: I aim for 1,000 words a day, with an absolute minimum of 500. I have a back problem, and write in spurts of an hour mixed in with checking the little things that come along when writing. Walking and thinking time and rehearsal-in-the-head time are absolutely necessary before sitting down and writing; it makes your writing time more efficient. I’m often heard muttering characters’ dialogue as I’m gardening or cooking lunch. 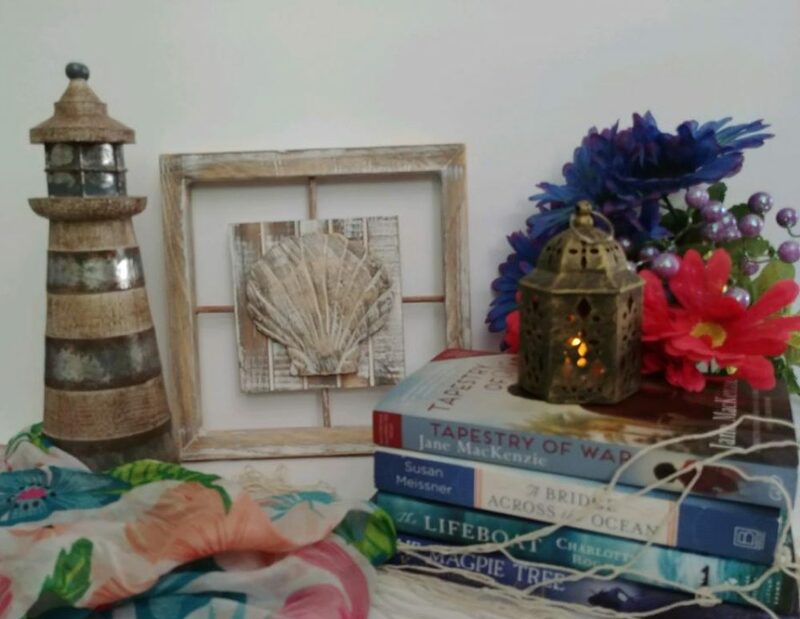 Stephanie: Where in your home do you like to write? Alison: I discovered it via Layered Pages(!) and shortly after that saw my writing friend Paula Lofting had been awarded the Medallion. Indie/self-publishing needs a high-level quality mark and I’ve been very impressed (and mildly terrified) by the rigourous selection procedure. Alison: In many ways! Paperbacks can be ordered through your local bookshop or online and the ebook is available though most online retailers. I’ve compiled a list here of the most popular ones so that readers have a good choice. Stephanie: Part two of our interview with be held here on March 20th and will include a giveaway. 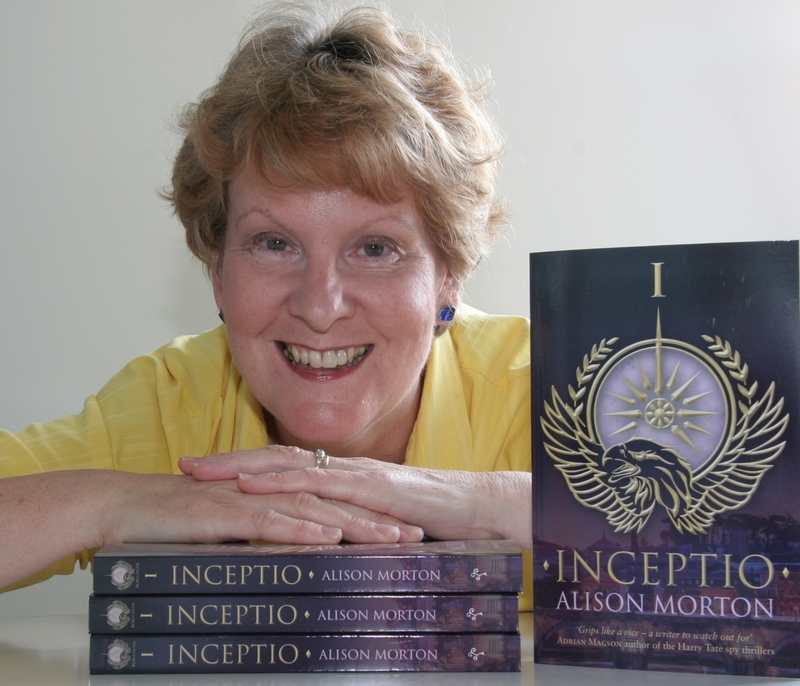 We are delighted that Stephanie has chosen to interview Alison Morton, who is the author of, INCEPTIO, one of our medallion honorees at indieBRAG . To be awarded a B.R.A.G. MedallionTM, a book must receive unanimous approval by a group of our readers. It is a daunting hurdle and it serves to reaffirm that a book such as, INCEPTIO merits the investment of a reader’s time and money.